10 innovative summer tips for oily skin - Health Blog - Health Tips for your Healthy Lifestyle! With that extra dose of moisture, skin tends to become oilier during summer than in winter and other seasonal diversities. If your skin is already prone to oiliness, the effect tends to be manifold times higher than normal. Oiliness not only counteracts the quotient of glamour but also creates conditions conducive to pimples, acnes, blackheads,rashes and eruptions. Dirtiness is one of the inevitable fallouts of oily skin, and you all are aware how that ugly filth of dirtiness can affect your looks. But there are ways for steering clear of these conditions of oily dirtiness. You can have a look at the following chits and tips for staying away from dirt, grime and oiliness. Your skin may or may not be susceptible to zits and breakouts, but even then, you ought to be focused on having your skin cleansed, preferably with a cleanser meant for summer. Cleanser containing salicylic acid can help your purpose. With the fractional content of salicylic acid, diffusion of oil is ensured. But such a cleanser doesn’t lead to over drying. Balance is just what the doctor orders. Do remember that with excess stints of washing you aggravate the generation of sebum. So while, washing and cleansing are necessary, you should know where and how to draw the line. Be particular to follow the stint of washing with that of wiping and drying. Hydration level of your skin is balanced by moisturizers. Hydration prevents dirt, oil and grime from arresting the epidermis. While you should avoid using moisturizers greasy in content, the use of oil less solution minimizes the oily effect. Similarly in the use and application of SPF and cosmetics, you ought to go for those with oil free base. Use of mineral based sun defense is effective for minimizing the oily sleek. Use of powdered foundation and make-up having a base of mineral is another alternative to minimizing oiliness. For professional and personal reasons, you may be prone to using excess cosmetics. Excess use can give way to oiliness. Under such an eventuality, use of blotting papers for drawing in oil comes up as a suitable alternative. Healthful lifestyle with a focus on balance is necessary. Your skin has lots to reflect about your diet, lifestyle, habits and addiction. Excess consumption of caffeine accentuates oiliness in skin. Similarly the consumption of fatty delicacies and those with loads and loads of sugar promotes conditions of oiliness. So, moderation in eating, sleeping, rest and exercises is mandatory. Diet including lots of greens, citrus fruits and sprouts can go a long way towards keeping the oil level intact. Binging on fruits and veggies rich in Vitamin A is one of the useful dietary tips. Carrots, cucumber, sprouts and spinach contain dollops of this vitamin. By consuming these in adequate measures, you can minimize the extent of oil production. Food items enriched in B2 variety of vitamins is equally effectual in controlling oil production. Drinking seven to eight glasses of water is another useful tip. It serves to balance out on the deals of hydration. Both are effective in decreasing the oil production of your facial skin. 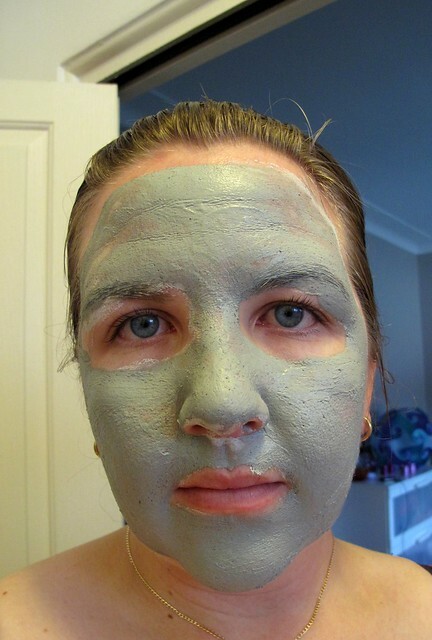 Use of clay based mask minimizes the production of oil. On the other hand, exfoliation helps clearing out pores of dirt, grime and sweat. But do stay away from going in for excess doses of exfoliation. By doing this, you can worsen the situation, and abet the secretion of oil. A standard cream can add to the build of oil content. Instead bank on the use and application of hydrating serums or a lotion containing glycolic acid. Both glycolic as well as salicylic acids are oil blotting in their effect. Thus, while selecting lotions – bedtime formulas do watch out on their content. Using a clay based compact can minimize the production of oil. Not only this, it also gives way to blotting, with excess oil being soaked up. That’s because by stressing yourself out, you aggravate the scheme of oil production. It is important to remain stress free, and follow a life of moderation, in spite of your tough and deadline oriented schedule. Regulated lifestyle, avoiding late nights, and getting yourself to sleep adequately at night are some of the essential imperatives. If you go through the mentioned tips and chits, you will get to discover some sort of commonality. The focus is on balance, diet, lifestyle and the use of rightful tricks of trade- all of which can work in unison to minimize the ugly tinge of oiliness. In case, these measures do not work out, do make it a point to have things sorted with a dermatologist, who can prescribe according to your skin type and requisites relevant to the same.